Redshift Sports Debuts ShockStop Seat Post- by Guitar Ted Readers may recall our reviews of the ShockStop Stem here and how we liked the vibration managing component. It is a really good way to tune out some of the “paint shaker” effect one might experience on gravel roads. 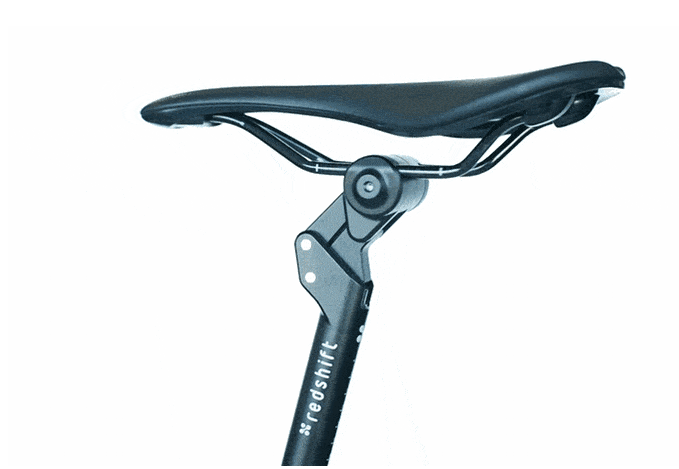 While that covers you up front, Redshift Sports had its eye on covering your behind, as it were, and have now released the ShockStop seat post as a Kickstarter project just in time for Sea Otter. The ShockStop seat post works by means of a user serviceable/swappable coil spring which resides inside the seat post shaft. This spring can be preloaded by screwing in a threaded plug from the bottom of the post. The top of the post has a four bar linkage pivot which reacts to inputs from the bike and works against the rider’s weight to activate the spring and dissipate energy from vibrations. 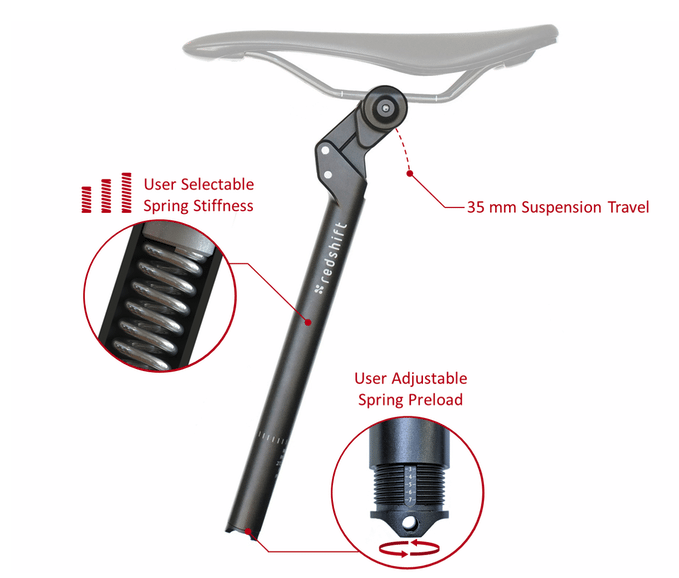 The ShockStop Seat Post Kickstarter is live now and you can go to this link to learn more: https://www.kickstarter.com/projects/redshiftsports/shockstop-seatpost-add-suspension-to-your-bike Riding Gravel will be getting in a ShockStop Seat Post for test and review soon, so stay tuned for that. Note: Images and information used in this post were provided by Redshift Sports. Decisions, decisions… and just when I started feeling good about the Kinekt too!